Today, I’ve two items that will receive the deeper-dive inspection. The first is something about which I’ve serious mixed feelings: the Aura rotating wine glass. 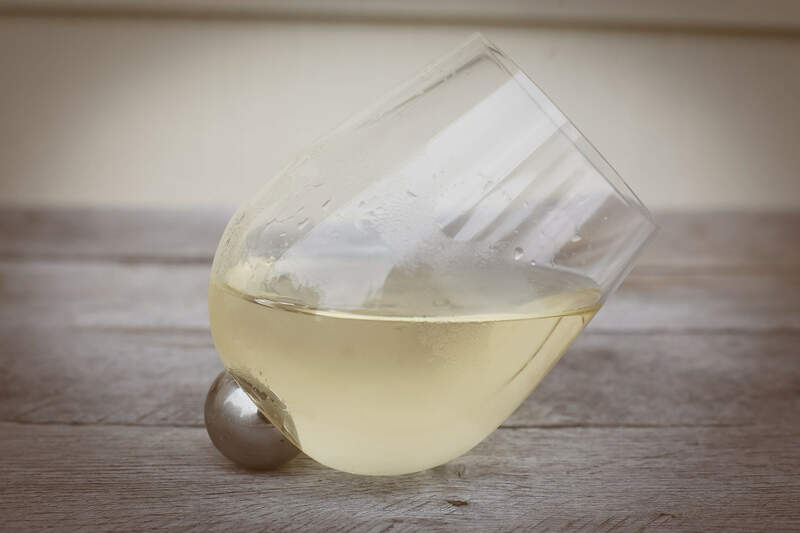 The idea behind this one is interesting: create a glass that almost eliminates the potential to spill its contents, in that it cannot really be knocked over; as a side benefit, make it easy to swirl the wine inside of it (by the way, do any of you other wine nerds find yourself swirling any liquid in a glass? water? orange juice? I do that all of the time…). First, the good news: it is, in fact, insanely difficult to spill wine poured into the Aura. While seeing the thing rotating on a table is a bit disconcerting at first (it has a weighted ball in its center, and so never actually sits “upright” when set onto a table), the effect overall is very, very cool. And, the center weight and large bowl dimension does seem to make swirling a bit easier when it’s in your hand. The bad news is twofold: first, it’s expensive (over $50 for both the large and small versions); second, the trade-off for the Aura’s sturdiness is the thickness of its glass, which makes the rim a bit too thick for my tastes. Overall, this one is probably best reserved as a gift for the wine lover who quite literally has everything else….